The race is run annually on either the Saturday before May Day Bank Holiday Monday or the following Saturday. This year, our 30th race is taking place on 4th May, 2019. We're having a ceilidh in the Village Hall from 8pm to celebrate - everyone welcome! 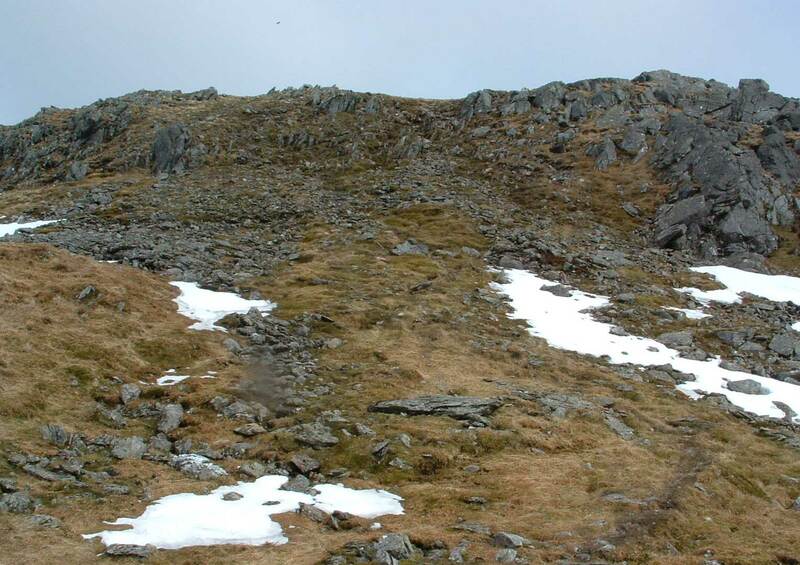 Called the Stuc a' Chroin 5000 because of its previously approximate total climb (in feet! ), the race up until 2016 was 22k long and the course record was 1:59:22 for the males, and 2:22:47 for the females. The Stuc a' Chroin race had to undergo a route change because of building development work. These records will now stand as the permanent records due to the change in the course. 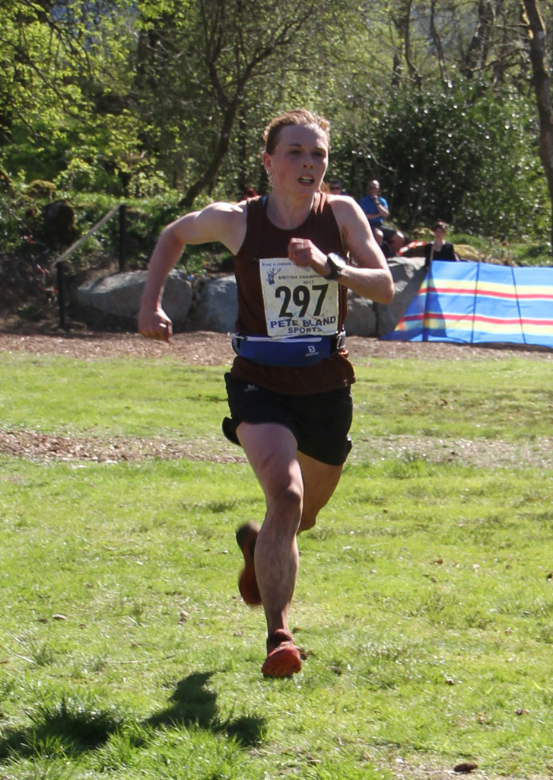 New records were set in 2015 and stand at (Male) Hector Hains (HBT) 2:08:33, and (Female) Georgia Tindley (HBT) 02:37:48. Against our predictions, the new course came in faster than we thought, and the lure of the sub 2 hour record still excites. We are supported by the many marshals, supporters and sponsors over the many years who have given their time and resources to help us. We welcome also our new marshals, supporters and sponsors. Many people have helped with the new sections and we're indebted to all who've sponsored and helped in whatever way they could. It's very much work in progress at the moment but we hope you like it. We will continue to try and improve the Start / Finish area and have already expanded it quite a bit in order to accommodate more supporters and a better infrastructure. The new course is approximately a 5,000 feet ascent, or 1500 metres, and 20 km long. The changes are only to the start / finish location as well as the initial and last section of the race. 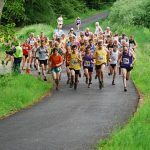 Organised under British Athletic Rules and classed as a Category A Long Hill race, and in 2009 and 2017, it was a British Championship event with over 300 runners and in 2013, hosted one of the Scottish Athletics Championships Long Hill races. Usually blessed with good weather, its timing at the beginning of May does mean that there may be a variety of conditions - consult the forecast before your journey ... and don't forget the midge repellent as well as your mandatory equipment. There will be an up-to-date forecast of local conditions right up to the start on this web site in the Stop Press section opposite. You can register here from here from the beginning of April. Pre-registration finishes on Wednesday, 2nd May at 20:00, but you will still be able to register in the Inn at Strathyre Hotel at the South end of the village from 10:30am - 12:00pm, admission fee is £10. Mandatory equipment will be checked at Registration. The race is well marked all the way to the top; (note that there may be a limited number of maps available); stewards and water stations are aplenty and well supported by the local community. Renowned for its plentiful supply of water, jelly babies and chocolate all along its 22k, rumours that some runners actually put on weight during the race are to be treated with caution! ".. privilege of enjoying a well-supported hill race in stunning scenery and immaculate weather ... Many thanks to the organisers of this epic hill run which was well-organised and well-supported. We will definitely be back next year." "Brilliant views and perfect weather conditions for this (my favourite) hill race." "Stuc is a great race and is really well supported, I think I managed to eat about a full bag of Jelly Babies and half a bag of Fruit Pastilles dished out by the numerous marshalls." "Thanks for a great race , the marshalling and organisation was first class as usual and along with the weather made it a great day !" 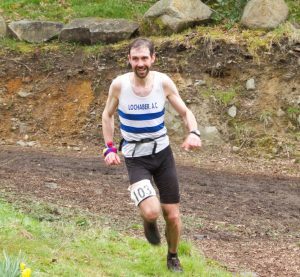 "despite the torture of running this course again it's still one of my favourite events on the hill race calendar." Note that as before. the prize-giving will take place on the field between 16:30 and 17:00. There's drinks and food in the hotels, as well as a ceilidh in the Village Hall. Food and drinks in the hall will be served from 18:00. It's our 30th Race anniversary, so bring yer dancin' shoes. There is 'The Village Shop' where sandwiches and groceries can be bought. The Broch cafe and the village hotels (White Stag, Munro and Benn Sheann) all serve good food. One word of warning though - traffic through this popular tourist area, and especially Callander (A84 Stirling - Strathyre ) can be very busy at the weekends so please allow an extra 30 - 60 minutes to pass through. There will be a significant amount of traffic from those attending the race as well, and traffic in Callander can be a nightmare. 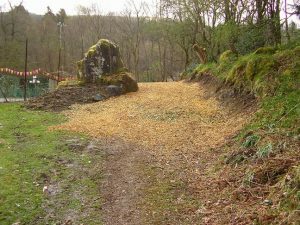 Other routes to Strathyre (avoiding Callander) are available. The race starts at 1300 hrs. We look forward to seeing you this year. Stuc a' Chroin 5000 Registration Information. Registration and Payment is now accessable via this link. 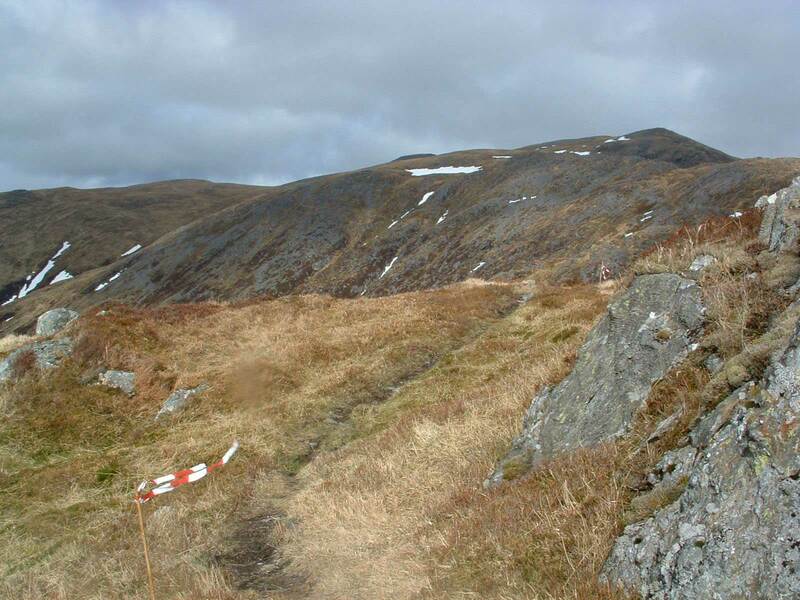 By paying via this link, you'll be registered for the Stuc a' Chroin Race and you'll receive an acknowledgement for the Stuc a' Chroin indicating that it is for the Stuc a' Chroin Race on 4th May, 2019 Registration for the race is £12 with £2 refundable at Pre-Registration on the day of the race if you have supplied a valid Scottish Athletics membership number. 17th April. Update - Registration and payment page problems now fixed. Apologies for the inconvenience. This year, we are pleased to announce that Secondary Schools will be running for the first time along with the primary schools that have fantastically competed over the last 2 years. Last Year, we had the pleasure to host, as part of the Stuc a' Chroin Hill Race, the mini-Stuc race when 71 pupils from Aberfoyle, Callander, Crianlarich, Doune, Gartmore, Killin, Port of Menteith, Kincardine in Menteith, Thornhill and Strathyre Schools ran just over a mile. It was a fantastic day, and great to see our future embracing the outdoors and the determination on their faces. We have great pleasure announcing that in the 'Year of the Young People' On Friday 4th May 2018, local schools in the area will be transporting 60 - 70 pupils to take part in what is now labelled 'The Mini-Stuc'. This is the second year of this race and it is has grown from the original 40-50 pupils, to now attracting pupils from 10 local schools - Aberfoyle, Callander, Crianlarich, Doune, Gartmore, Killin, Port of Menteith, Kincardine in Menteith, Thornhill and Strathyre Schools. It's now become a permanent part of the 'Stuc' weekend. 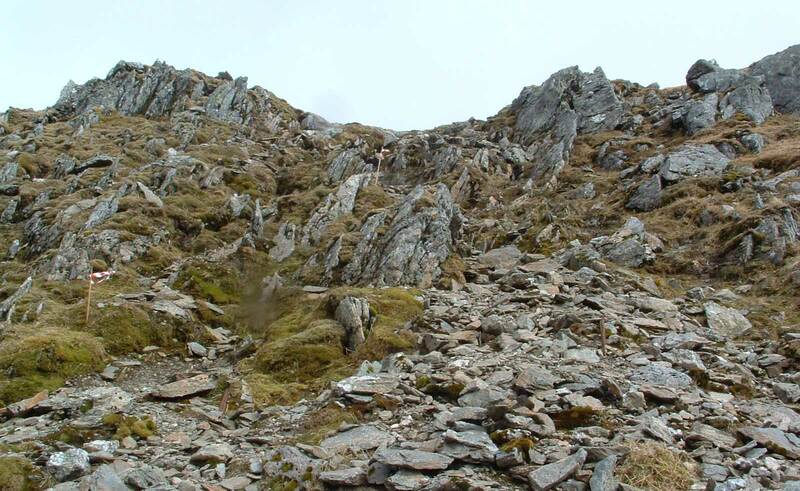 Gaelic for 'Mountain of the Fairies', you still have to be tough to run it - this is the stocky little brother of the Stuc a' Chroin 5000. What better way to spend an hour than a trip up Ben Sheann on a beautiful summers evening in June. You can do a full days work, drive to Strathyre, see some mates, run up Ben Sheann and down again, pick up your prize, sup a well deserved ale or vino, and head home. And ... it's still light, so if these light summers evenings are keeping you awake, this is the perfect antidote. We've brought the race forward this year - to allow for less voracious midges so we're hoping it's a much more pleasant experience. On a day when conditions differed greatly between the relatively balmy base HQ and the near-zero visibility and below-zero windchill at altitude, Finlay Wild (Lochaber) was first to enter and first to exit those harsh conditions. Finlay came in 02:11:22, a full 10 minutes ahead of 2nd placed Jonathan Crickmore (HBT) 02:22:00 and Sam Alexander just behind on 02:23:22. For the ladies, Stephanie Provan (Deeside) came in 1st with a time of 02:46:32, not far behind was 2nd Ruth Crewe (Westerlands) 02:51:10 and Helen Bonsor, Carnethy on 02:56:52 came 3rd. A great day for all though and there were a few 1st timers who reported that they'd definitely be back. No new records were set as the course was diverted due to the extended harsh winter and forestry operations and more of the race reverted temporarily to forest track than we would have liked. Underfoot conditions were best described as 'slippy', 'treacherous', 'challenging' and perhaps various other descriptives, but however you called them, they slowed the pace down a bit and were responsible for a few withdrawals and injuries, although thankfully nothing serious. Due to the deteriorating conditions, we also had to bring forward the cut-off by 10-15 minutes which brought the race to a pre-mature end for a couple of frustrated runners. Always a difficult decision, the guys at the top have to call it the way they see it and safety of runners and marshals is always paramount. Route, Registration and Equipment Checks! Competitors are reminded that the race is a category AL race and as such, the organisers expect all mandatory equipment to be carried. Competitors will be required to show mandatory equipment at registration, and checks will be made prior to the race. Non-compliant competitors will be invited to withdraw from the race. Registration was open until Friday 4th May at 17:00 now closed. The course was marked yesterday (Wednesday 2nd May 2018) and unfortunately the harsh and extended winter has forced us to make a few changes to the route and to restrict access to the start / finish area. The start / finish has had new drainage put in but as a result, for this year only, we have had to cordon off parts of the start area as the weather has not allowed it any time to clear. 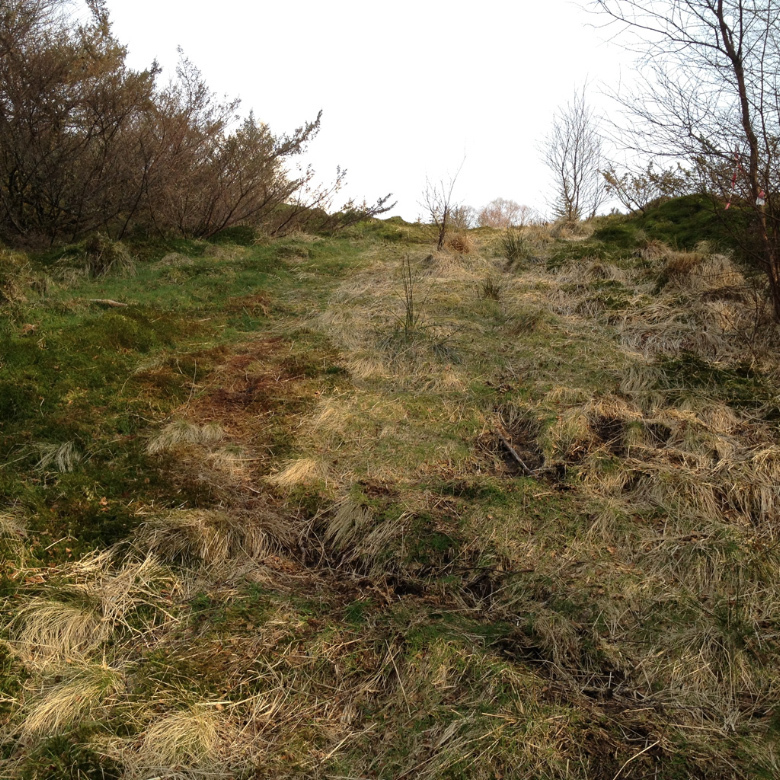 In addition, becasue of forestry operations and recent weather, one of the opening sections which starts up McAskills path and then up the old peat road is virtually impassable for long sections so we have had to divert onto the forest track. Once passed these areas, the rest of the route is unchanged. There are some patches of snow from the ridge up to the Stuc, but the summit approach is clear of snow. Hosting the UK National Championship AL races and a Scottish Championship Race on 6th May 2017. 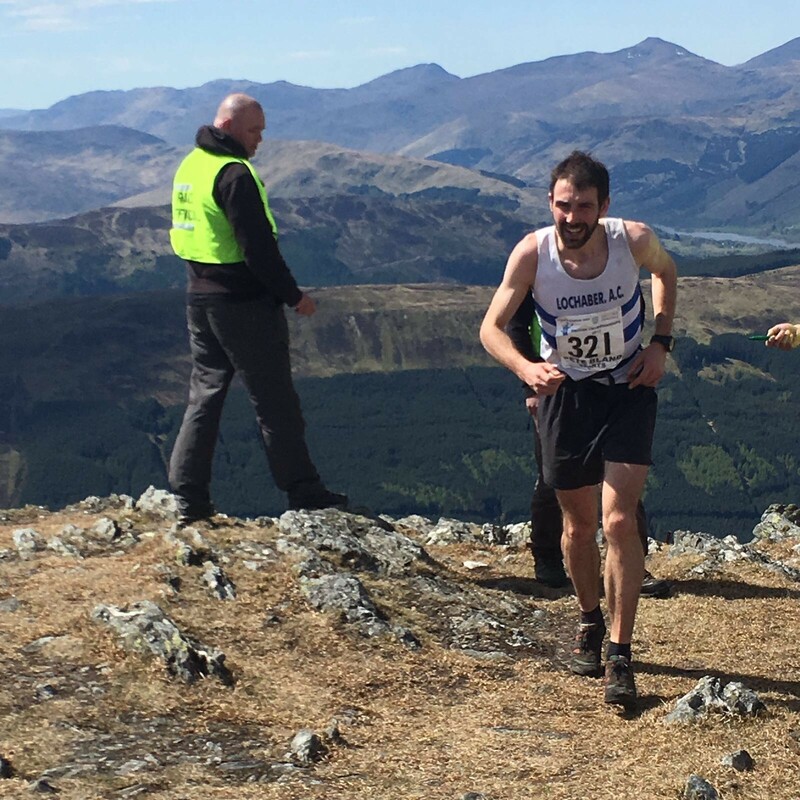 In the 29th Stuc a' Chroin 5000 race, a UK Championship Race for the first time on the new course, 359 runners set off yesterday at 13:00 in our largest turnout ever. Conditions were the driest in years and everything pointed to a cracking day. In the Male Seniors category, Finlay Wild of Lochaber came in first with an excellent time of 2:08:44, 3½ minutes ahead of Andrew Fallas of Carnethy (02:12:16) who in turn was 9 seconds ahead of Carl Bell from Keswick (02:12:25). Findlay’s time was an excruciating 11 seconds outside of the new course record of 2:08:33. In the Female category, Georgia Tindley from Hunters Bog Trotters came in at 02:37:48, (a fantastic new course record, congratulations Georgia), a tight 4 seconds ahead of Lou Roberts of Ambleside AC (02:37:42) and in third place was Kelli Roberts of Ambleside AC (02:43:10). Apologies for the mix-up with these results. In commemoration of Ronie Hamilton, the Stuc a’ Chroin committee have introduced a new local prize for the residents of Strathyre, Lochearnhead and Balquhidder. 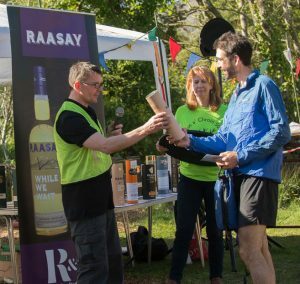 The first runner from the 3 villages will win an engraved Quaich for the year. 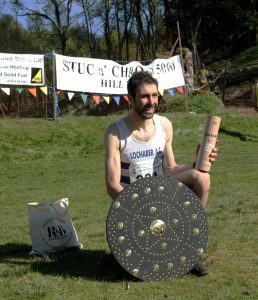 The first winner of the Quaich is Craig Harvey (Squadra Porcini) with a time of 02:32:00. Ronie was one of the founders of the race and his and Archie's influence and hard work enabled the race to become what it is now - one of the most popular races in the calendar. The race would like to say 'thanks' to 2 old hands of the race, Archie Bennie, and Bill Baird. Archie and Bill go back to the very first days of the race; Archie, also one of the founders of the race and race secretary for many years let us know that he has decided to hand back his marshals star and hang up his jelly babies. Bill has also been a loyal and hardworking marshal since the early days and has significantly contributed to prizes and race funds for many years. The race committee would like to thank you for your hard work and we wish you both a happy retirement from the race. Note that Pre-registration has now closed. You can still register on the day and a copy of the Registration form will appear here on Thursday. Many thanks to all of you that responded with DoB clarification, and payment details. Please note that if you have registered for the race, but payment has not been taken by the time registration closes, then you will have to turn up on the day and register. Please check that payment has been taken. Apologies if you have queried this already, and you haven't yet received a reply. To pay, access your paypal account, and make a payment to stuc5000@gmail.com. Take a note of the transaction number, and ensure that you send the transaction number along with an email indicating that you have now paid to 'stuc5000@gmail.com'. © 2017 Stuc a' Croin Hill Race Committee. All rights reserved.